That with a little vanilla ice cream = heaven! Oh yum! I agree, serve with ice cream!! 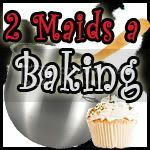 Thanks so much for linking up to 2 Maids a Baking!! Everything taste better with chocolate chips! 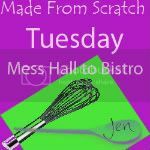 Thanks for linking up to the Iron Chef Challenge. 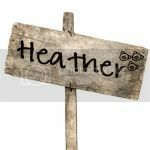 Too cute - I am loving your blog name!! These look awesome...I am adding some peanut butter chips too!! This would be perfect for my Foodie Friday linky party - stop by this week and link up! This looks good. I found you off o another blog, thought I would check you out. I grew up on the farm. My brother is taking over my parents farm. I believe in the family farm. I love cooking homemade as I was in 4-h for 11 years. Yum! Cant wait to try it.